Google owns one of the two alleged Quantum ‘Super’computers in the world, and now it wants to take that dream one step further by partnering with University of California Santa Barbara and building Quantum Information Processors. 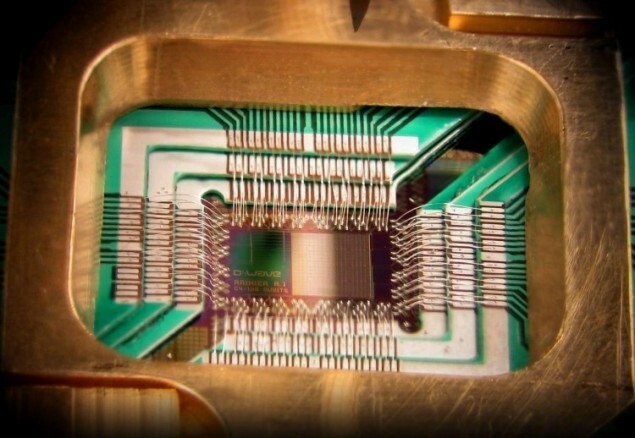 Google is already working with D-Wave Two Systems and is working hard to figure out the Quantum Annealer. Quantum processors could have many interesting applications, some of them positive, others horrific so you can safely say that the first company to mass produce these would take over the world industry. Quantum processing lies primarily on the qubit, which unlike our good friend the bit, has the usual 1 and 0 states and can also exit in a superimposed state. Another major difference between normal processors and quantum processors is the quantum tunneling effect, which basically means that they can intuitively sense the answer (a very very crude estimation). Needless to say, armed with features like these, the perfected quantum processor will have drastic consequences. An example being that all current encryption techniques, which rely on prime numbers, will become obsolete over night.Information is currently scarce on the project and we only have what Google stated in their post.